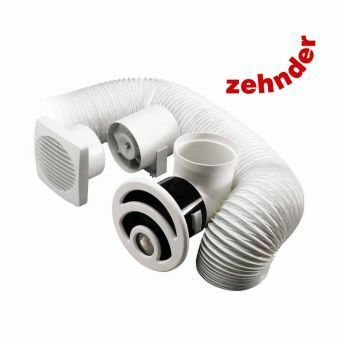 The Zehnder Silent Wall Fan (IP24) is 70% quieter than standard axial fans and features an outstanding performance of 95 cubic m/hour. 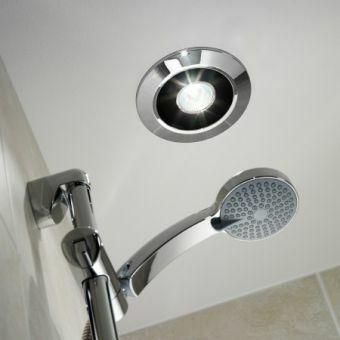 The Tranquility range introduces the priceless quality of peace and quiet in the bathroom, combined with designer aesthetics, qualities new to extractor fans. The choice of 2 wall fans, 142(d) x 180(h)mm, (Timer and Humidistat) offers bathroom designers the opportunity to ensure that the bathroom they create can be a peaceful haven of luxury. 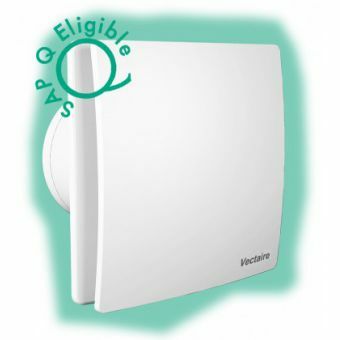 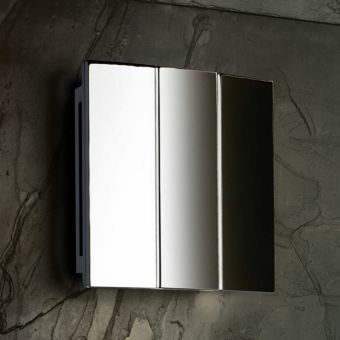 Compliant with Building Regulation ADF2O06( System1 - Intermittent extractor Fans),for bathrooms, toilets & showers. 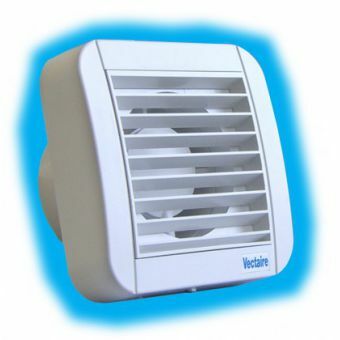 Timer fan:(Single speed)Operation by light switch or remote switch. 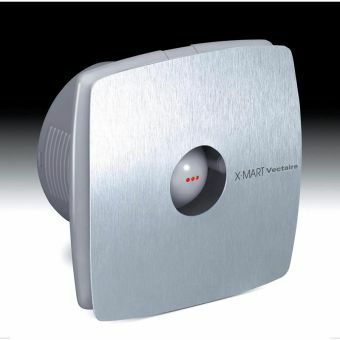 Adjustable over-run timer(between2 to 3Omins)factory set at 1 minute when wired into room light or remote switch. 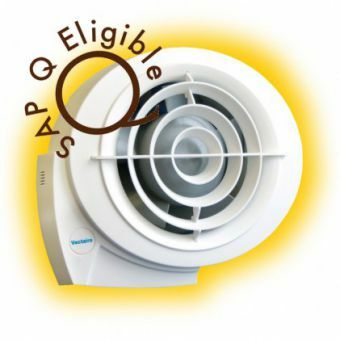 The fan will operate whilst the light is on and when switched off, will run on over-run timer for the pre-set over-run period. 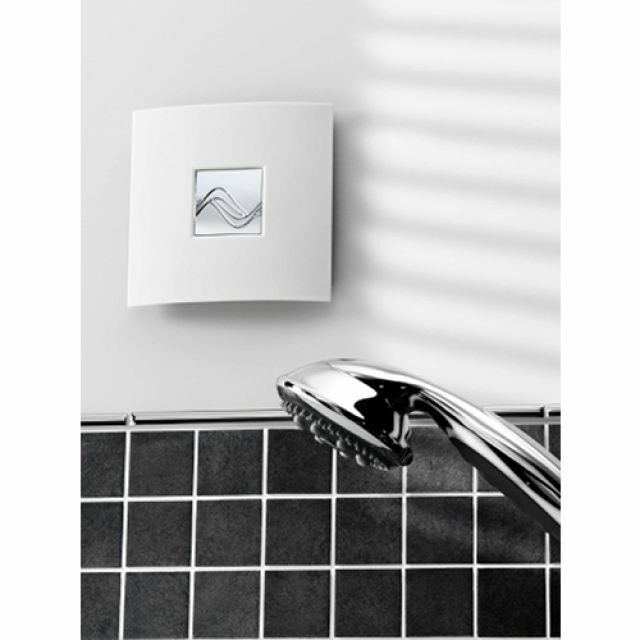 Humidistat timer:(Single speed)Automatic operation by the integrated humidistat sensor with optional manual override via remote switch. 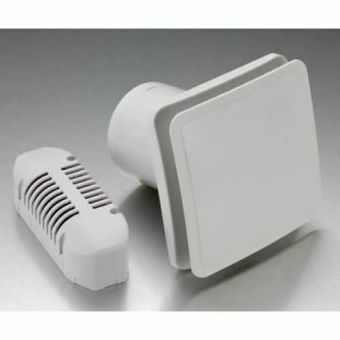 Integrated sensor activates fan when humidity exceeds activation point (adjustable between 60% and 90% relative humidity at 2OC).